Put your business on the map with university students. 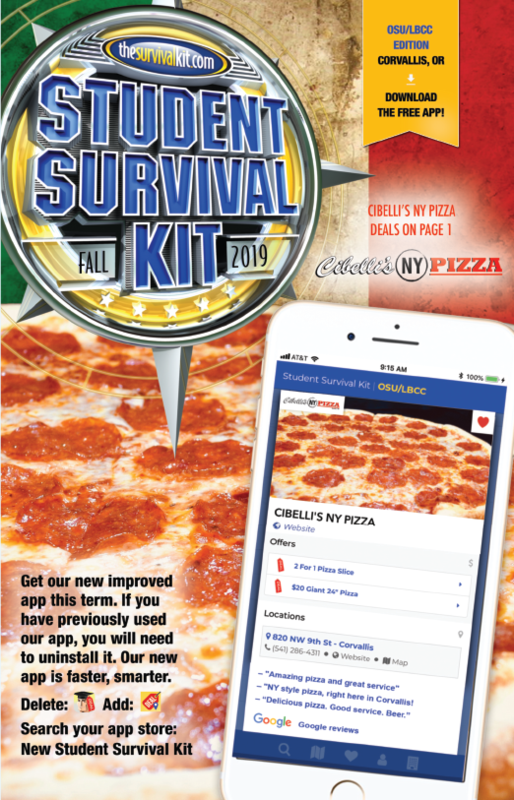 Advertise in the next edition of the Student Survival Kit Coupon Book at OSU and Linn Benton Community College. Request a free AdKit by email from Rick or Melissa for the edition nearest you. Includes rates and important dates. This digital version can be shared with colleagues. Email us today. Print your own coupons from this site. If there is a printer icon next to the sponsor's name, there should be a printable coupon on the site. Print and redeem.